ACI Apartments is pleased to announce the recent sale of 901 E Madison Avenue, a 21 unit El Cajon investment property sold for $3,825,000. The 17,728 square foot property situated on a 30,927 square foot lot was purchased by 901 E. Madison Apts. LLC. The buyer was represented by Anton Burman of Apartment Consultants Inc. The seller, Knoll Marjory was represented by Jamie Vasacek and Jim Vasacek of Western Hills Real Estate. The property, which consists of twenty 2 bedroom and 1 bathroom units along with a 3 bedroom and 1 bathroom resident manager unit, has immediate curb appeal due to great visibility from the corner lot. Half of the units have been upgraded with wood-like vinyl plank and tile in the living areas while all units have remodeled bathrooms including tubs, tile, and vanity. At time of sale, the property had a price per square foot of $216, a price per door of $182,143, and a GRM of 12.30. There was a credit given to the buyer of $50,000 for deferred maintenance. 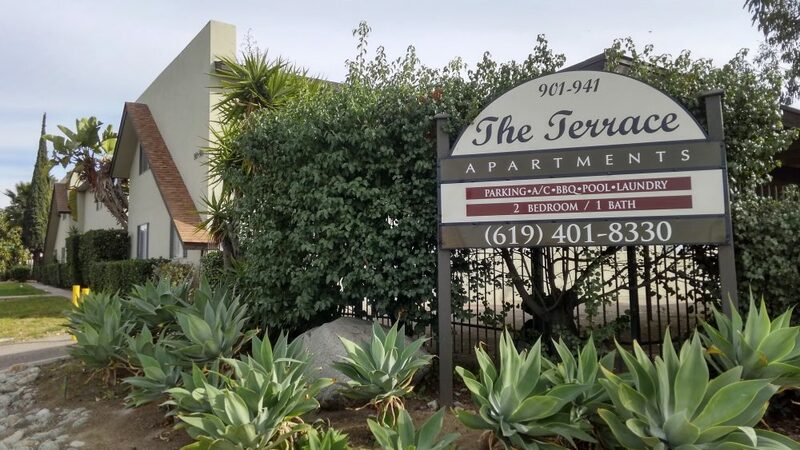 The property is situated between El Cajon City Park to the west and Wells Park in the east providing plenty of recreational spaces for tenants. Proximity to Cajon Valley Middle School and Naranca Elementary School, as well as the Madison Plaza Shopping Center make for an ideal location for family focused tenants to reside.